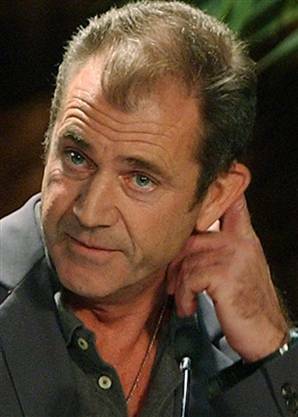 Well, one day after I advise Mel Gibson not to let the Anti-Defamation League see THE PASSION, the ADL weighs in and the secular media picks it up, both the Associated Press and Reuters. Someone should send Mel a link to my site, though I should inform him that there is a Consulting Fee For Fabulously Wealthy Film Stars. I obviously haven’t seen the film, so maybe I should hold my fire, but I can’t say I’m impressed with the ADL’s arguments, as presented in its press release. Any reasonably faithful adaptation of the Gospels will show Jesus’s blood being sought by the Jewish authorities and the Jerusalem mob. Whatever the subtle details of what body did what at what hour, where the accounts do differ in minor ways, all four Gospels are united in proclaiming what the ADL is clearly constructing in its first, second and fifth bullets as anti-Semitism. If the argument is that any portrayal of any Jew demanding Jesus’ blood is anti-Semitic, then Christianity as such is anti-Semitic. At this point, I throw up my hands and go home, concluding that ADL wants Christians to apologize ourselves out of existence. I can understand the historical discomfort of the ADL and reasonable Jews with the deicide charge and its link to passion plays, given what it has “justified” in the past. But the execution of Jesus of Nazareth, whatever its theological meanings, is a historical event, as much a historical event as the execution of, say, Socrates. And the peoples and certain leaders in 1st century Jerusalem and 5th century Athens played significant roles, according to the primary historical documents we have of those events. Blaming contemporary Jews for deicide is absurd and makes no more sense than blaming the execution of Socrates on contemporary Greeks. It is also, in the light of eternity, bad theology — the execution of Jesus, whatever the role certain historical personages played, was required in the economy of salvation by the sins of all men (a point Gibson has made, along with some people who have seen the film). Catholic congregations are reminded of this every year by playing the part of the crowd demanding Jesus’ death. I would definitely agree that Christians, especially Catholics, have an obligation not to repeat past crimes against God’s people. But truth is truth, and at some point, Judaism and Christianity have to part ways on who Jesus of Nazareth was, and that has moral and historical implications that I don’t think the ADL is grasping, and which explains Gibson’s stubbornness and (at least my) skepticism about the ADL’s charges. As a strictly theological matter, why shouldn’t those Jews of 1st-century Jerusalem not taken in by this new heresy led by this Nazarene nobody (is it necessary to emphasize that Christians generally realize Jesus and all his disciples were Jews), those “Jews who adhere to their Jewish faith” in the ADL’s words, have wanted Jesus’ death? Is ADL speaking from the perspective of Judaism? Jesus was claiming to be the prophesied Messiah, the Son of God and all that. If these claims are not true, and every Jew has to believe they are not true (otherwise, he’s just become a Christian), then the mere man making them is the rankest blasphemer, surely worthy of death under the Law. In addition, God’s people turning away, rejecting Him for this or that false idol — the golden calf, the Egyptian and Babylonian deities during the exiles — is a constant theme throughout the Torah. Caiaphas bloody well should have been concerned about his people following for this latest heretic, and stamping it out as blasphemy. Speaking theologically, some amount of anti-Christianity is inherent in Judaism, and some amount of anti-Judaism is inherent in Christianity. We just have to live with that until God calls a halt to history, and calling any and every reminder of any of the bases for the latter a form of hate doesn’t change that.